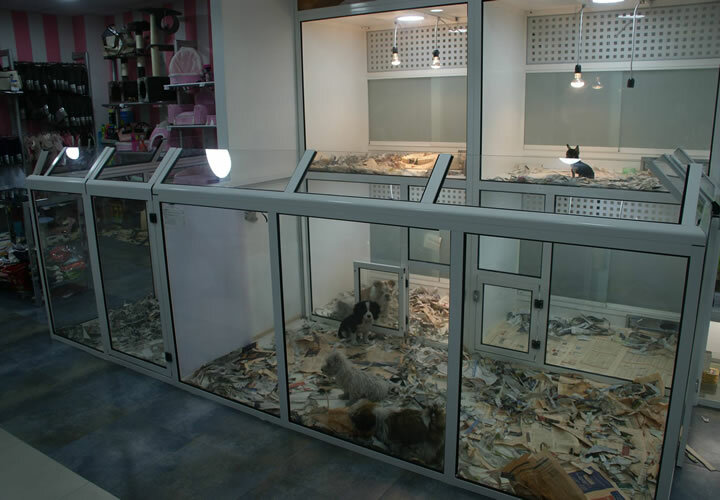 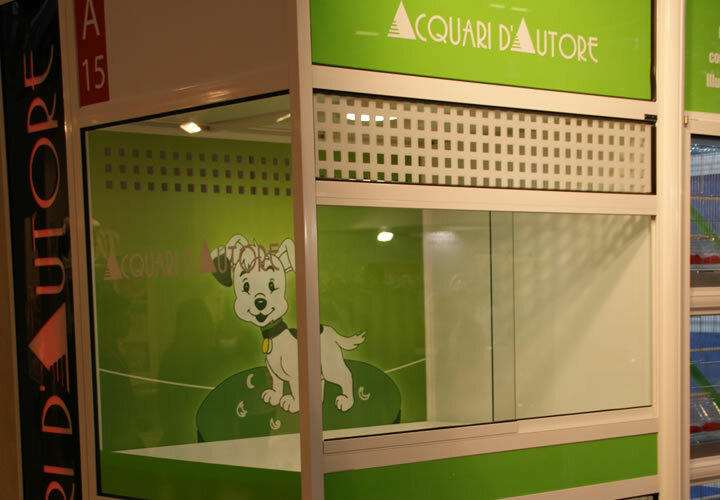 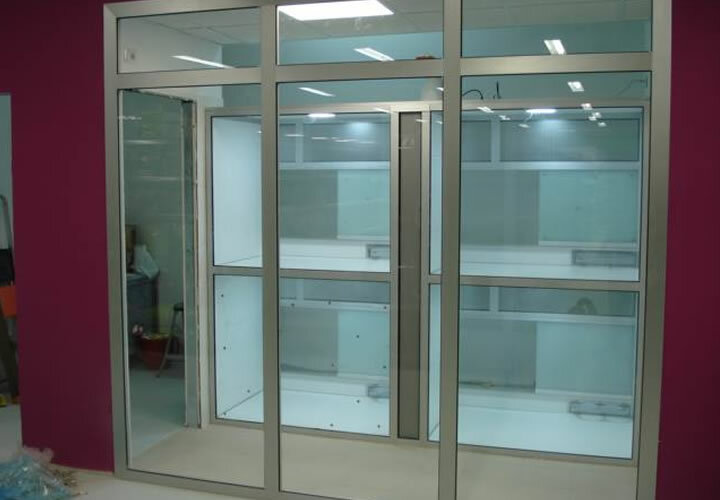 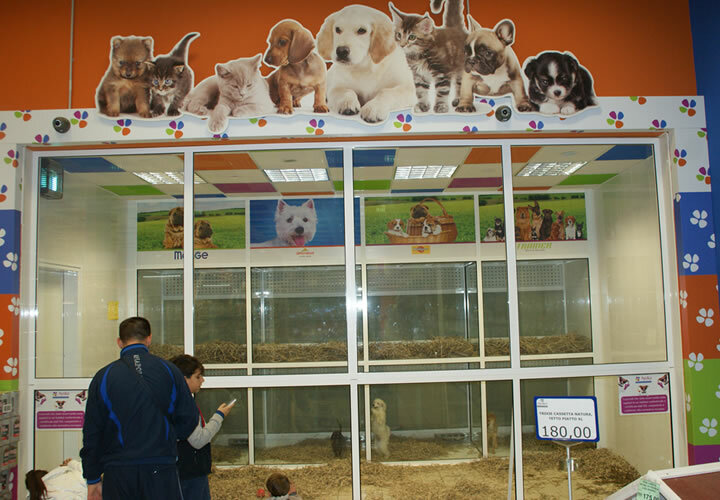 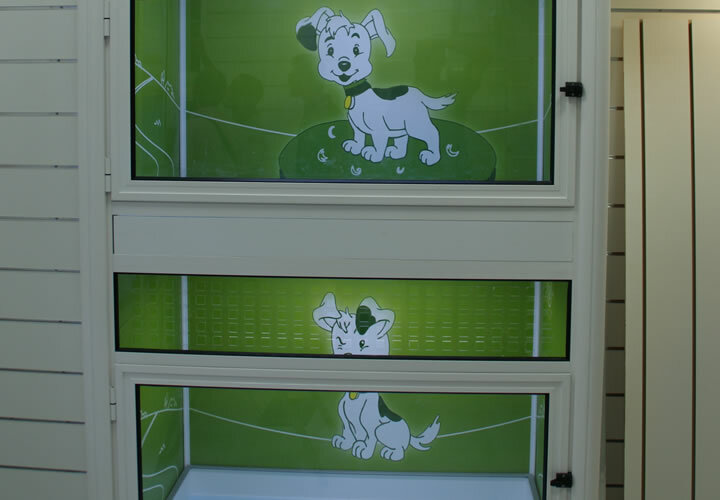 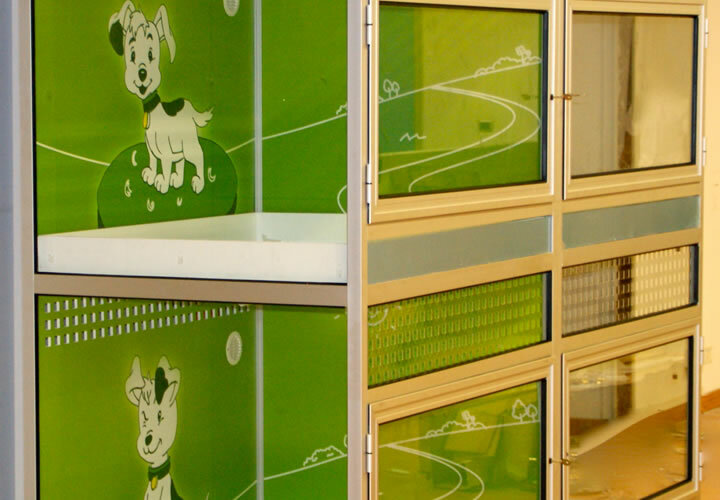 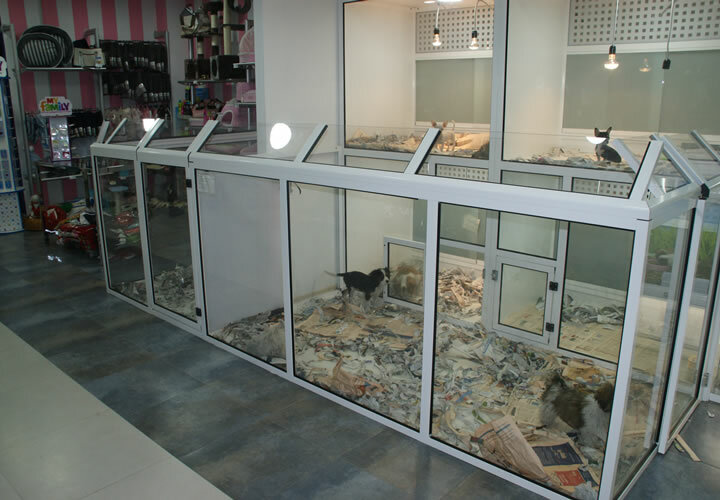 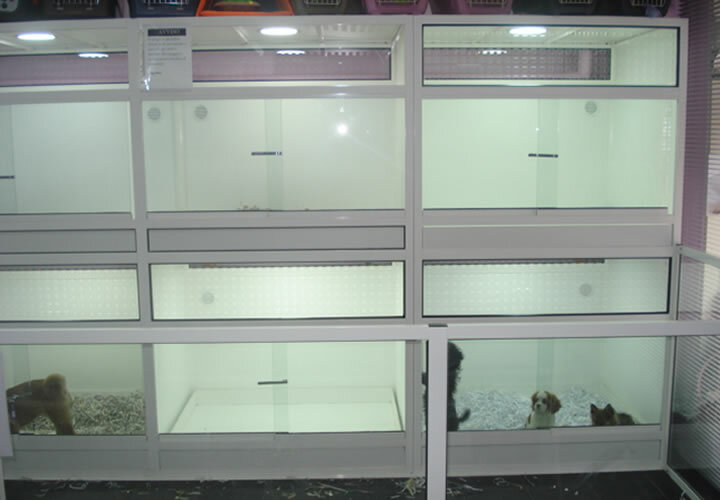 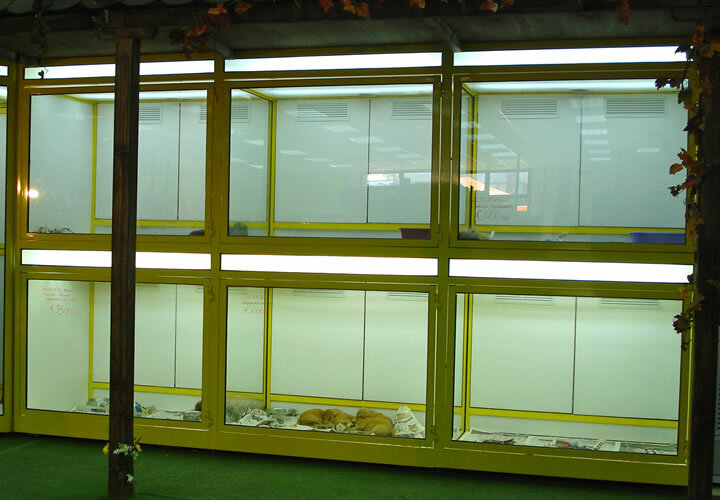 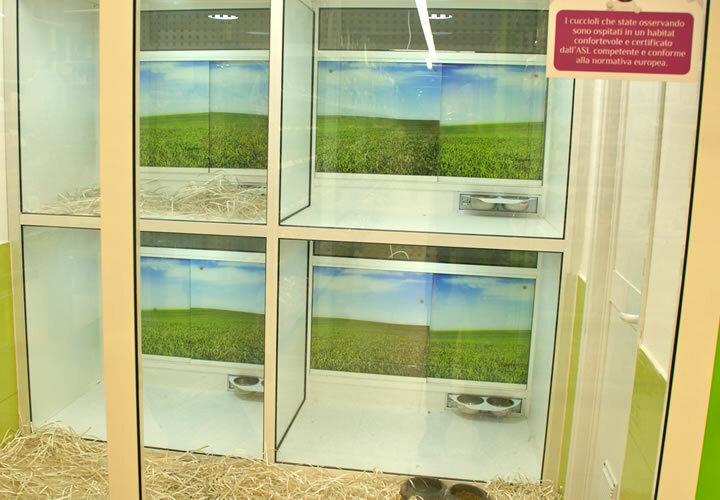 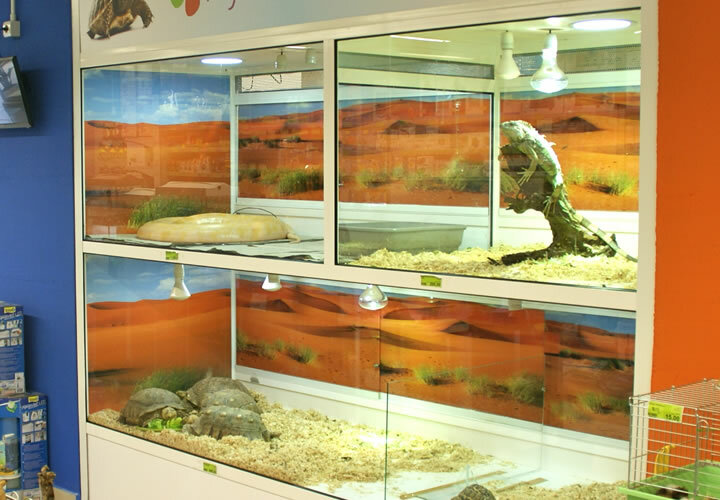 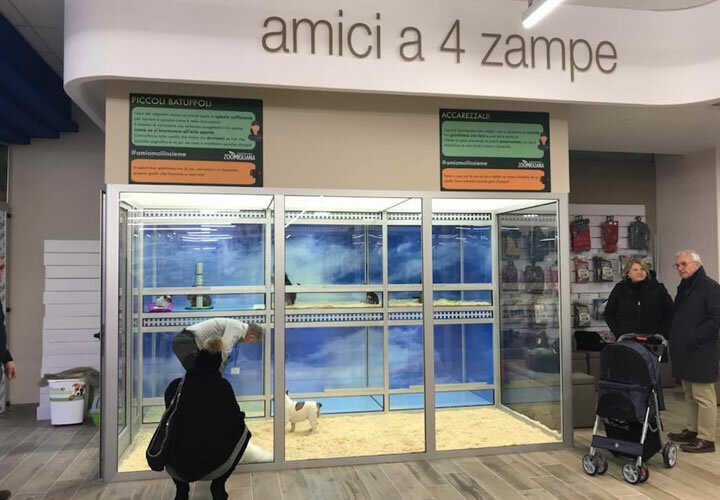 Designed and built to create a temporary habitat that is more suitable to accommodate our furry friends, Dog and cat displays are equipped with enclosed spaces of dimentions dictated by legislation and with a large pen in front of them, where dogs can play and relax in a specially designed space. 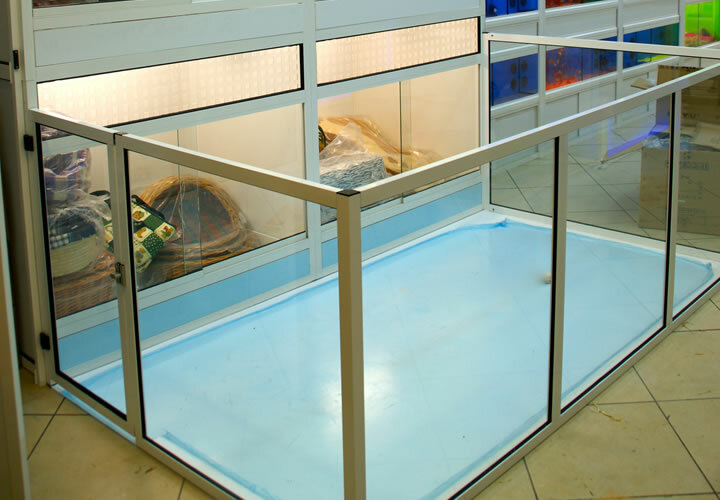 Displays are enriched with practical drawers for easy cleaning or with a swivel bowl system. 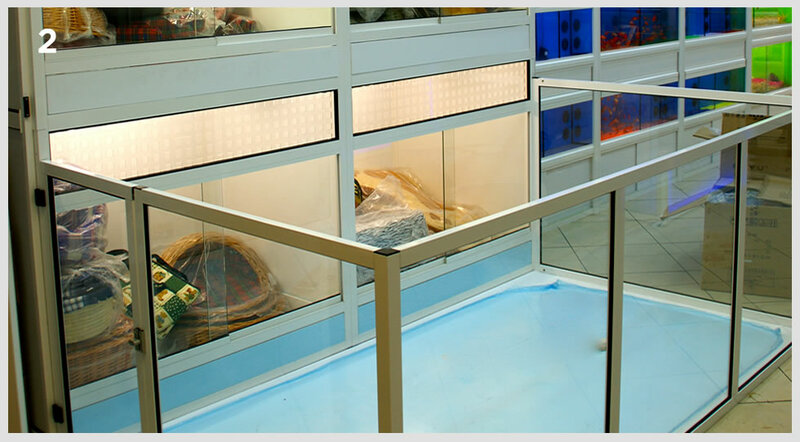 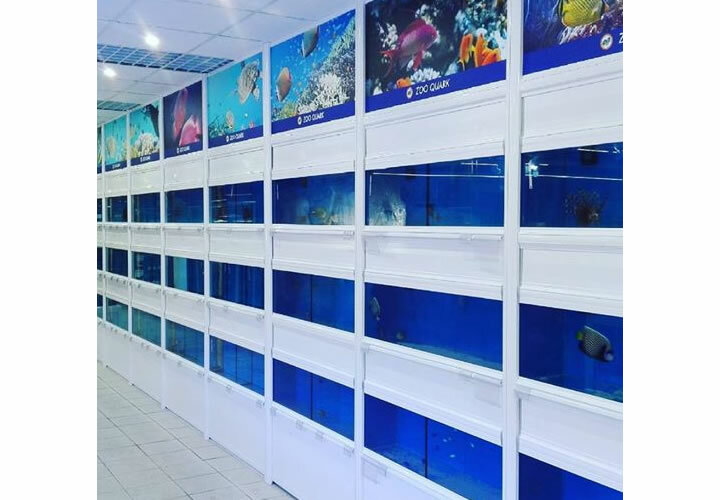 All displays can be customized with dedicated graphics, electronic lighting system, odor extraction system, colors and sizes. 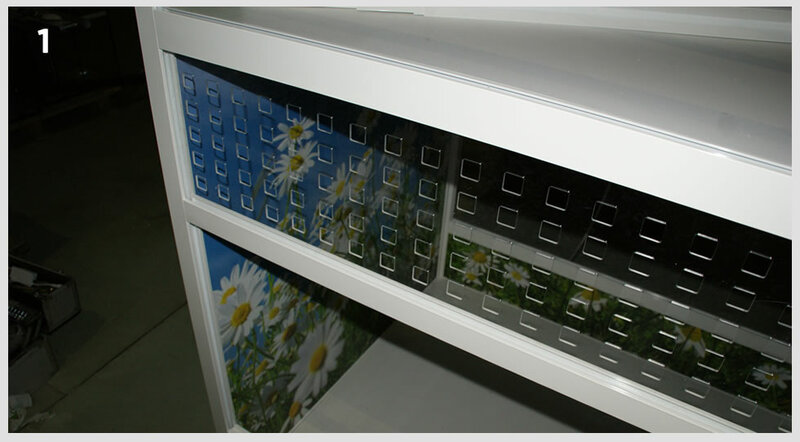 All models can also be fitted with both rear opening and front opening.